Michelin company introduce a new concept for tires. 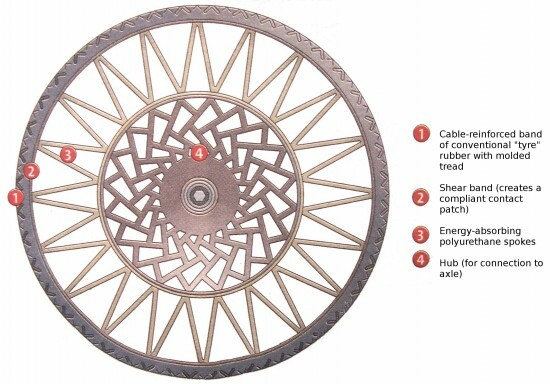 The new tire type is called TWEEL (a composite name coming from tire and wheel). Tweel system is summarized as No Maintenance – No Compromise – No Downtime. Tweels are airless radial tires. They need no maintenance. 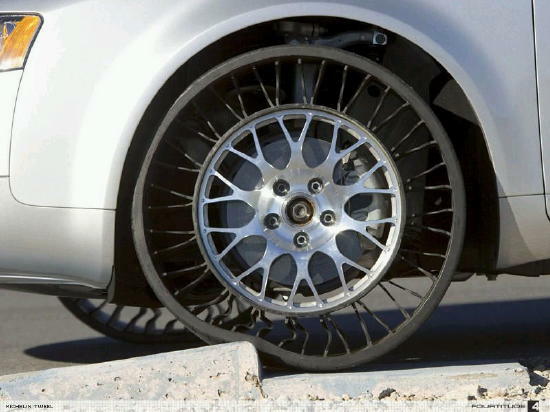 The new nano-materials provide durable and light solutions for these types of tires. In future we can see them everywhere.